Beautiful classical music resonates on the second floor of Hanyang Plaza Hanyang University (HYU). This is the sound of classical music organized and played by HYU’s very own ‘Classical Music Concert Club’. This club does not only focus on listening to class music, but does many activities too. We interviewed the Classical Music Concert Club to learn more. A: Our club is a traditional classical appreciation club which was made in the 1970s. We call it “GOEUM”. We meet regularly every Wednesday and a forum is held once a month where we invite guest speakers to give lectures. 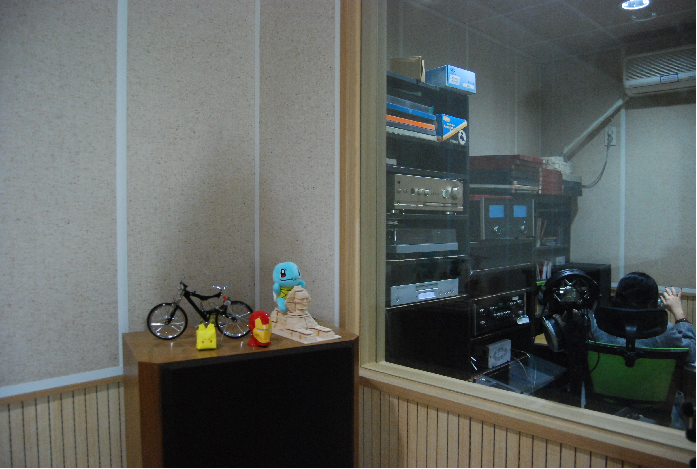 In addition, we also manage a comfortable room where HYU students can listen to classical music. Q: Is there a standard for choosing club members in a Classical Music Concert Club? When is the application period? A: I personally wish that people who major in music and dance join us because there are many engineering students in our club (haha). I'm just joking. Our club is only available to students can participate in club activities for two years. People who are not interested and not familiar with classical music are also welcome and we are always recruiting. Please come to the club room anytime. Q: Is GOEUM a club that only appreciates classical music? Do club members have the opportunity to learn musical instruments as well? A: Yes, our club only appreciates music. We do not learn musical instruments. However, there is a piano in the club room so you can come and play any time. The club room is well soundproofed, so you can bring your own instruments to practice. Q: Is there any special activates that GOEUM participates in? A: We operate the listening room. 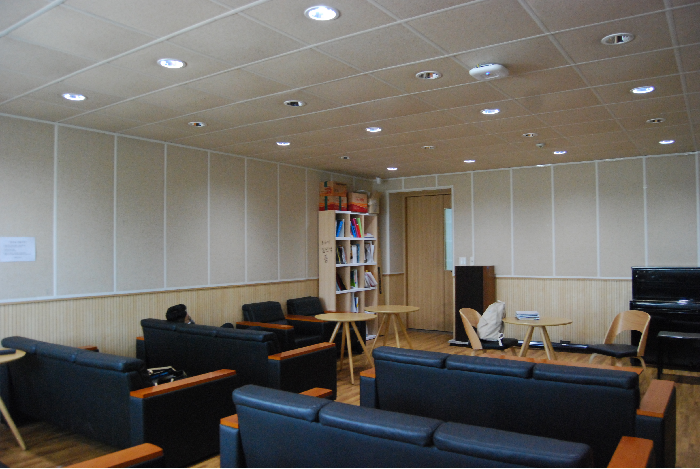 The listening room is open from Monday to Friday from 11:00 am to 5:00 pm on the second floor of the Hanyang Plaza. It has a spacious seating area where you can relax while listening to music. We offer 50 seats that are completely furnished for the listener to listen to music comfortably. We are confident that the listening room is better than the Central Library because it has a good heating system and WiFi. 30 members from our club enters the broadcasting room one hour each week and broadcast everything from classical music to New Age music. Of course, we also receive song requests. Only members who work for one semester and who have passed our member examination will be paired with associate members to proceed to an activity called “Paired Broadcasting System” Here, associate members learn how to deal with broadcasting and sound equipment. Q: You told me that you held a forum once a month at the club. Could you explain more in detail about the forum? A: We invite instructors once a month on Wednesday to hold forums for an hour. The topics of these forums vary. For example, we learn about music and composers but sometimes we are taught about the definition of life. Recently Professor Jun-il Lee who is an honorary professor of Chung-Ang University, Chairman of Korean Literature Association and CEO of Dolce Opera, gave a lecture. The forum will be held in the listening room next to the GOEUM on the second floor of the Hanyang Plaza. The forum is open for HYU students as well, so we hope that everyone who is free on Wednesday can join us. Q: Lastly, tell us why your club is special. A: Our club is located on the second floor of the Hanyang Plaza, so it is more accessible than other clubs. The size of the club room is also very large and we are proud about the environment of the club room. The special thing about the GOEUM is that it is not only a club where members just enjoy music, but also a relaxing place for students who are tired of studying. The president of the club says, " It is sad that such a good activity is not well known to many students." If you want to relax in school or want to be healed, we recommend you visit us.